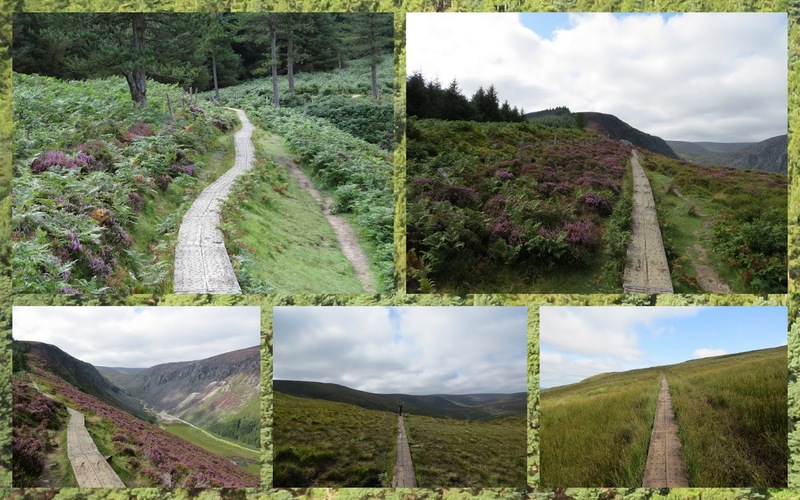 County Wicklow and some idyllic walks can be found just an hour's ride outside of Dublin. 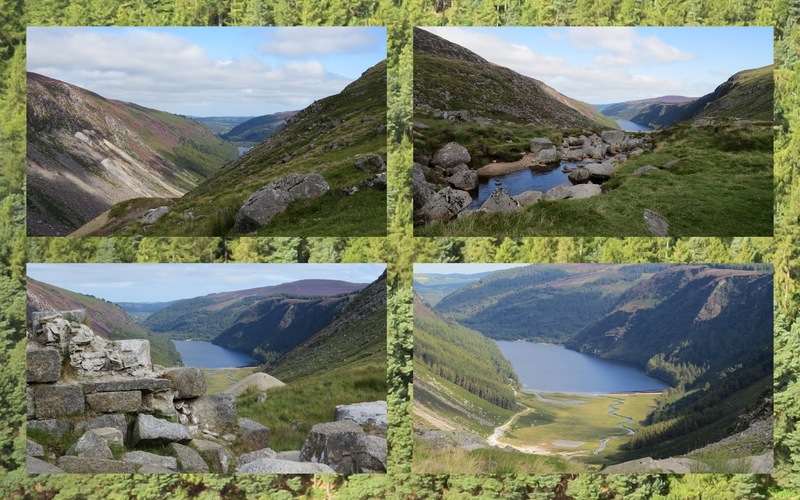 We visited Glendalough on an organized day tour when we first moved to Ireland five years ago. The tour was great but a bit rushed and we wanted to return to explore the area again on our own terms. The chance presented itself on a gorgeous Sunday afternoon in early September 2015 when we decided to try out St. Kevin's Glendalough bus service for our triumphant return to the area. While driving certainly offers the most flexibility in exploring the region, we don't have a car so the St. Kevin's bus service was super helpful. For just 20 EUR return, the service runs twice a day on the weekends departing Dublin at around 11:30 am and returning at 4:30 pm. We found this gave us just enough time for a brisk hike up and around Spinc and Glenealo Valley (White Route) taking in sweeping views of the Upper Lake with a few moments to spare to marvel at the scenery and take some pictures before hiking back to the Visitors Centre for the return bus to Dublin. The Walks Ireland blog features a helpful map of the trail. 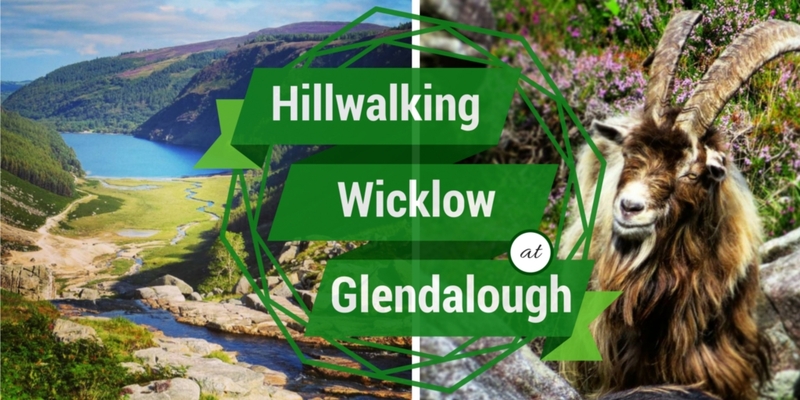 Here are ten highlights of our hillwalk centered on Glendalough in County Wicklow. 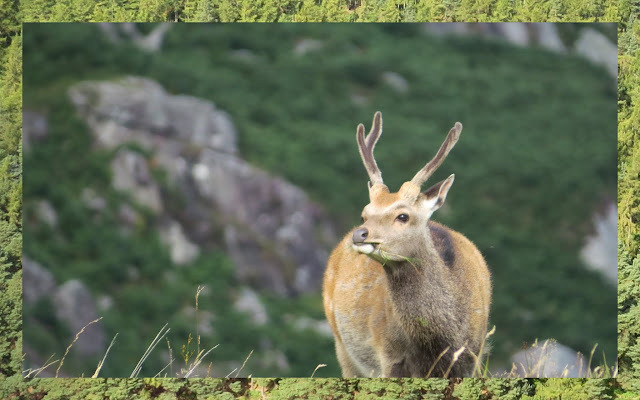 SIDEWALK SAFARI SPOTLIGHT: Have you made time to explore Dublin City? Check out our exhaustive list of one day Dublin City itineraries for the best recommendations on things to do for every interest. 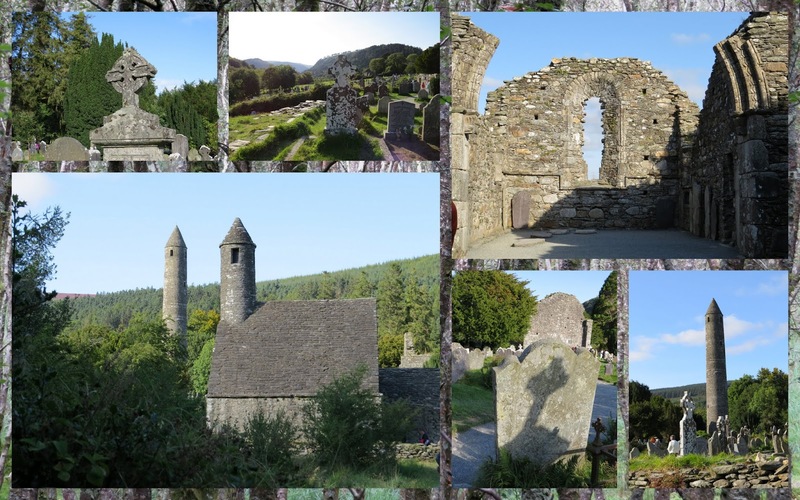 The 1500 year old monastic settlement is a highlight of any trip to Glendalough. The trail begins and ends very close to the ruins and cemetery. We took a little time to steep in the atmosphere outside the round tower and wandered among the Celtic crosses and other gravestones. 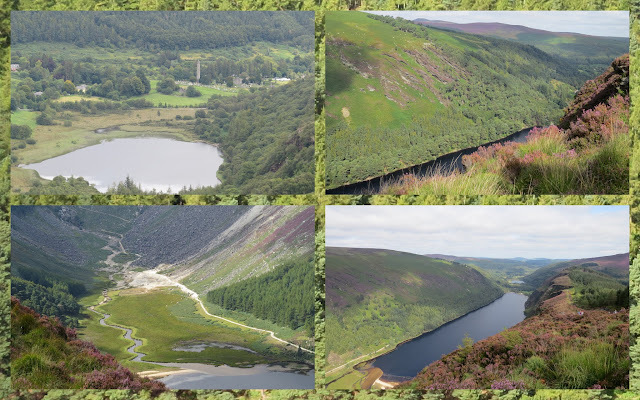 It's tempting to spend quite a bit of time here exploring the fascinating history, but if you do, your hillwalk will end before it even begins and you won't have time to make the full circuit around the upper lake. The good news about Spinc and Glenealo Valley loop trail is that you get the hard part out of the way early. The bad news is that the trail is quite steep near the start. We ascended past Poulanass Waterfall through a beautiful silent forest marching up 600 wooden planks to the top. We were rewarded in our efforts with sweeping views of the Lower and Upper Lake as well as a brief glimpse of what the trail had in store for us next. We looked forward to seeing the lakes and their surrounds up close. A very narrow wooden boardwalk runs along the top of the ridge. We looked out over the valley below and at the protected vegetation surrounding the trail. We smiled as we attempted almost acrobatic moves to sneak past hikers going in the opposite direction on the narrow trail. As we made our way along the boardwalk, I spied a stunning buck grazing in the grass. We stood watching in silence. I love unexpected wildlife sightings on our hikes! Slightly beyond the halfway point in the trail, we encountered the most beautiful spot of all. We could see the Glenealo River snaking it's way down the hill into the Upper Lake spilling past rock formations. The sun chose this moment to come out making the scene even more idyllic. 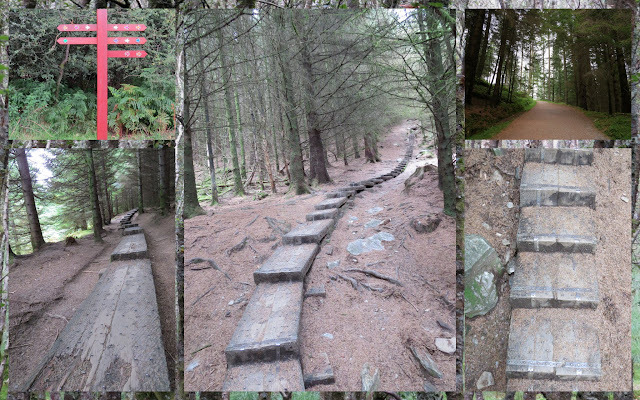 We thought the hard part of the trail was over at this point and from a cardiovascular perspective it was. However, the descent into the valley to the shore of the Upper Lake runs down a steep rocky path which is admittedly a bit tough on the knees. I soon forgot about my aching legs when I spotted magnificent mountain goats dotting the hillside. 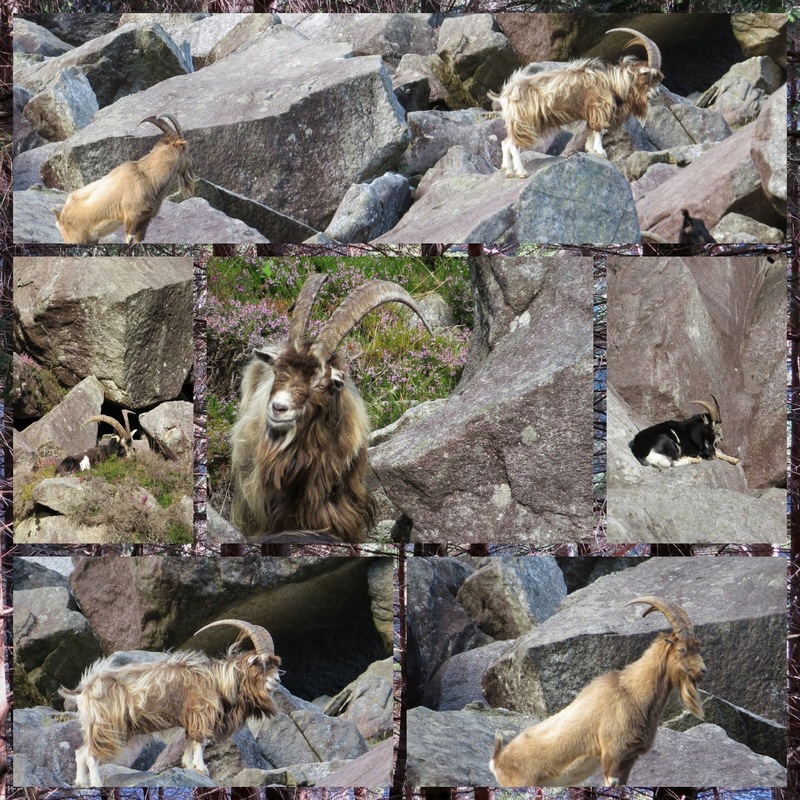 If we weren't time constrained (i.e., we didn't want to miss the bus back to the city), I could have stood there photographing the goats for hours! One of them even seemed to be grinning at me! We completed our rocky descent past ruins of an old lead mine with views of the Upper Lake encouraging us onward in our journey. The trail flattened out again at water's edge. 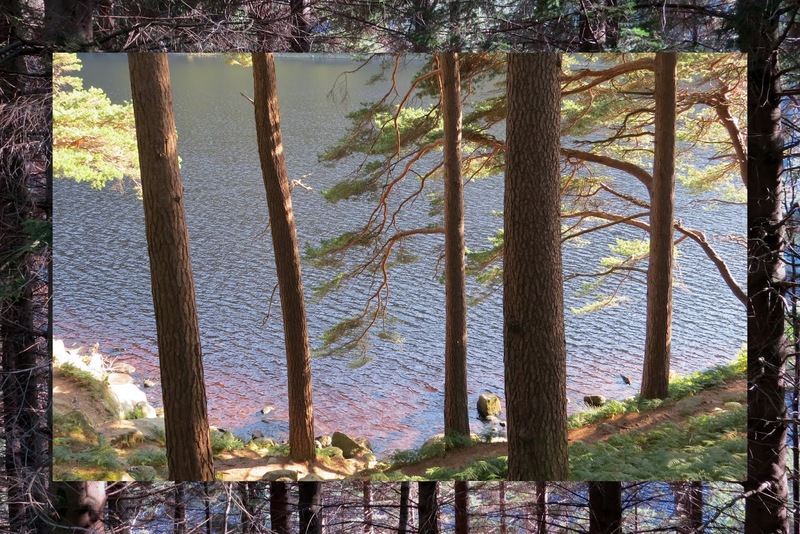 We wandered through a forest of tall trees with golden light reflecting off the amber tannic waters of the Upper Lake. This part of the trail felt quite zen and we had the trail nearly entirely to ourselves. After nearly four hours on the trail, we were ready for a treat. Fortunately, there is an ice cream kiosk near the car park on the Upper Lake. Unfortunately, I didn't manage to get a photo of my delicious soft serve cone. I ate it too fast after all the exertion from the invigorating climb and descent. 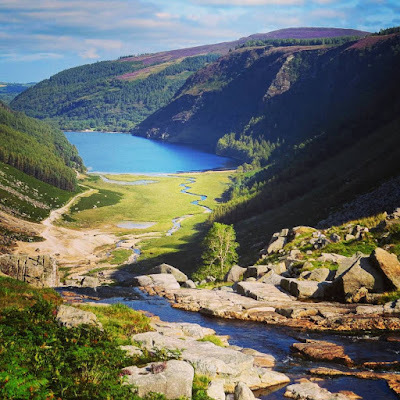 Overall, if you don't have a car, a day trip to Glendalough on St. Kevin's bus service offers a fantastic way to do an introductory hillwalk and get some exercise in the stunning areas of natural beauty on Dublin's doorstep in County Wicklow. 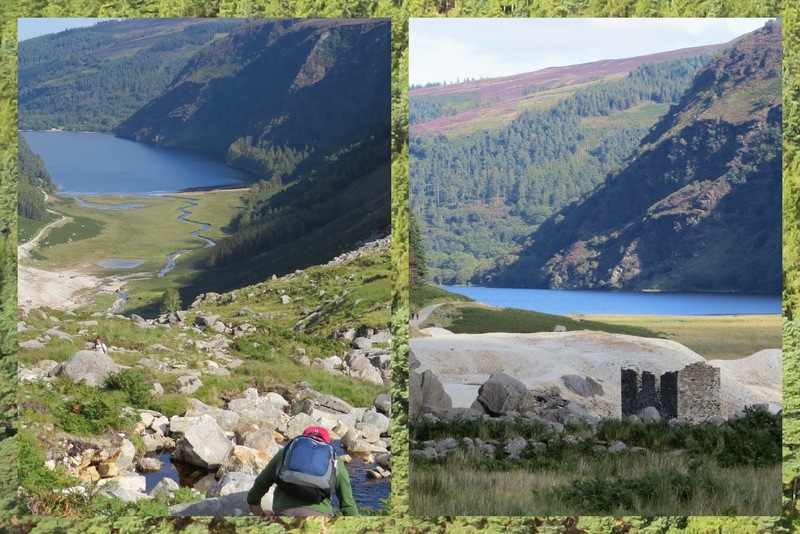 Photos and advice from a hillwalking daytrip at Glendalough in County Wicklow, Ireland. Written by Dublin based travel blogger, Jennifer (aka Dr. J) of Sidewalk Safari.